As today, Apple is going to announced its new iPhone but wired thing happened with Amazon. 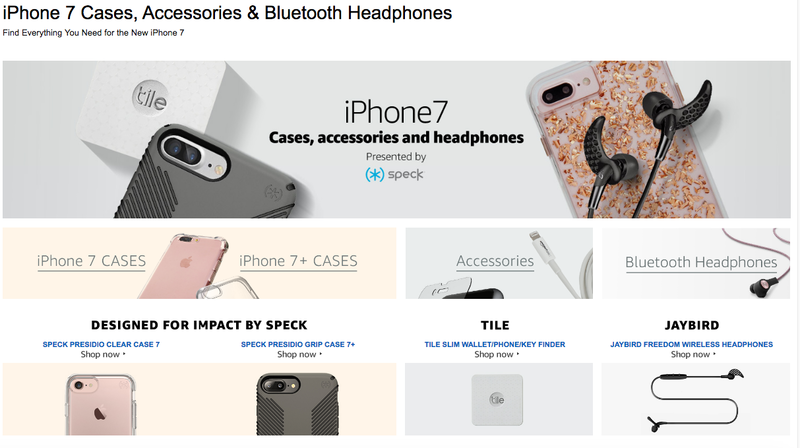 Just an hour before the announcement by Apple, Amazon had released the specialized page for iPhone 7 and it's accessories. According to the page, one iPhone with the rumored dual back-facing cameras. It also includes a link for Bluetooth headphones, which probably confirms the long rumored removal of the headphone jack. The phone looks pretty much like the iPhone 6, except for the dual cameras.